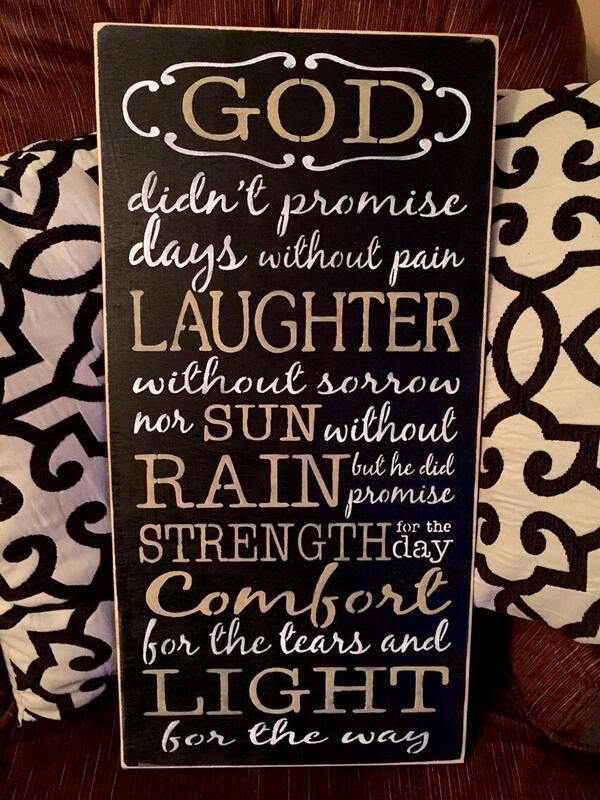 Distressed God Didn't Promise Days Without Pain Wood Sign. Background is semi gloss black, with antique white lettering and tan painted lettering. All the edges have been distressed.